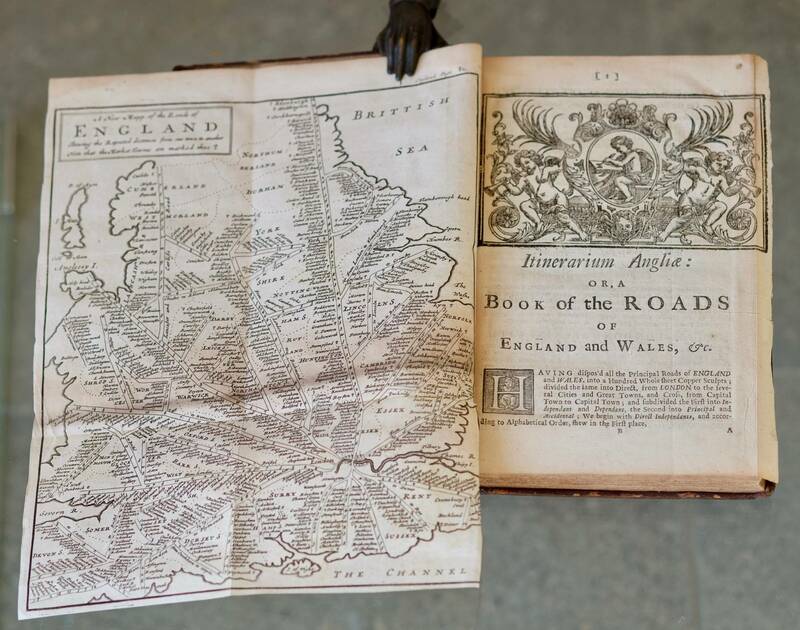 The Traveller's Guide: | OR, | A Most Exact Description | OF THE | ROADS | OF | ENGLAND. 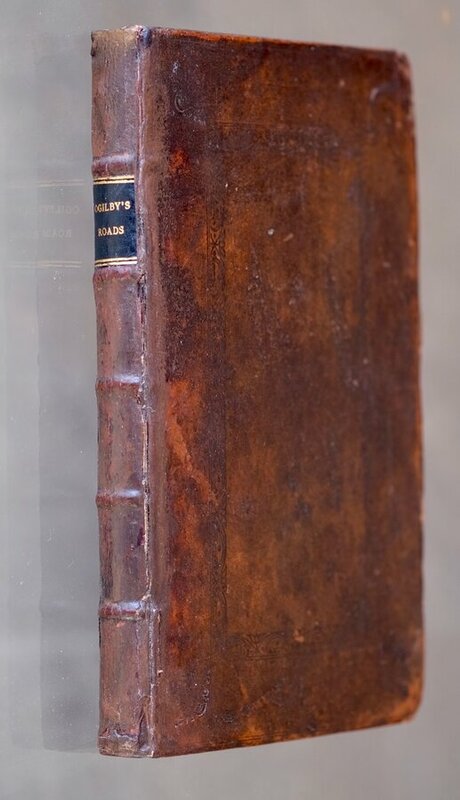 | BEING | Mr. OGILBY's | ACTUAL SURVEY, | And Mensuration by the WHEEL, | OF THE | Great ROADS from LONDON | To all the Considerable | Cities and Towns in England and Wales, .... LONDON. PRINTED FOR W.B. and Sold by J. Churchill et al. n.d. (1712). 8vo. (14x21cm). Original blind tooled calf. Original spine repaired, new label. Original endpapers, bookplate of R.P.L.Booker to front board. Ink signature Arthur Irwin Dascent 1881 and note "Reprint from the folio 1674 without the maps 1712." to front endpaper. | Title. | 2pp. Preface. | 4pp. Contents. | Fold-out copper engraved map: A New Mapp of the Roads of ENGLAND Shewing the Reputed distances from one town to another. | Title with decorative woodblock headpiece: Itinerarium Angliæ: OR, A BOOK of the ROADS OF ENGLAND and WALES, etc.. 254pp. 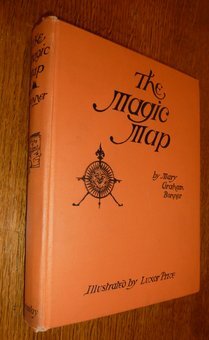 A good copy with the unusual diagrammatic road map. Map with small repair at hinge and light 'shadow' along fold, otherwise very good. Contents clean throughout.